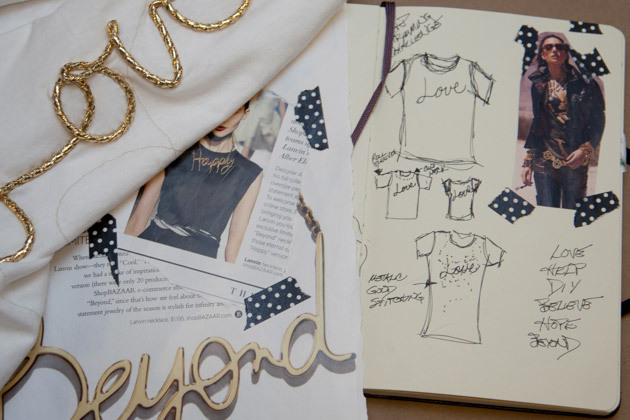 My inspiration and sketches to make this DIY Love T-shirt. 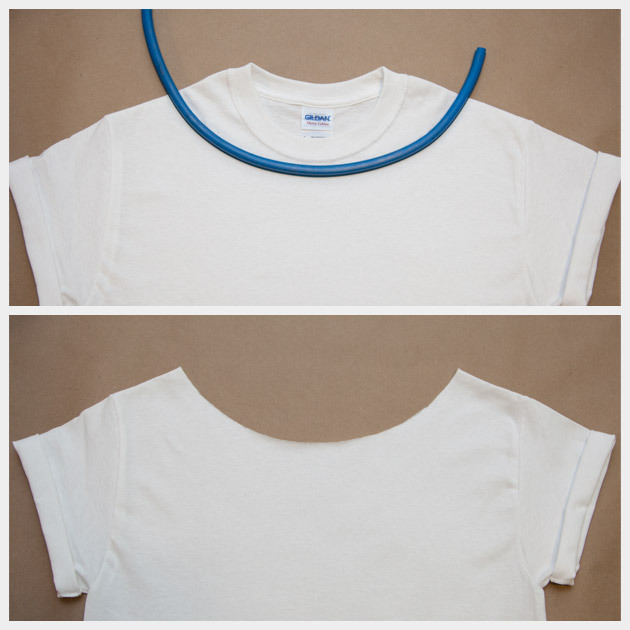 Layout your t-shirt on a flat surface and decide how you will cut your neck. 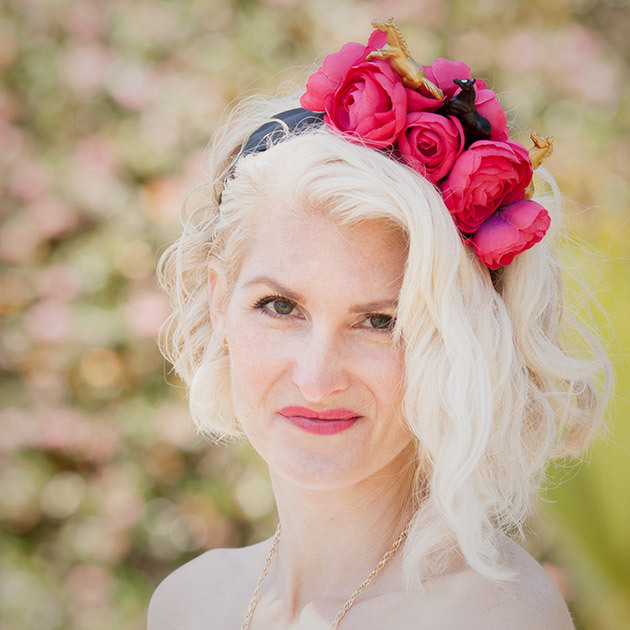 I used a flexible curve to help me get the right curve to cut my neckline. 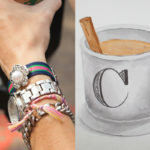 Trace your curve with a pencil. When you are sure you have it the way you want it use your scissors to cut your neckline. 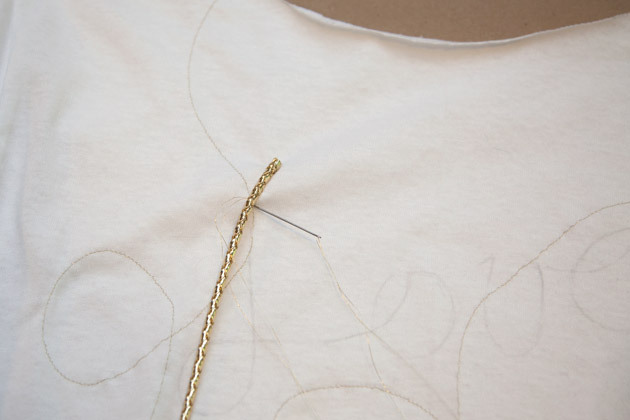 Thread your gold metallic thread through your sewing machine. 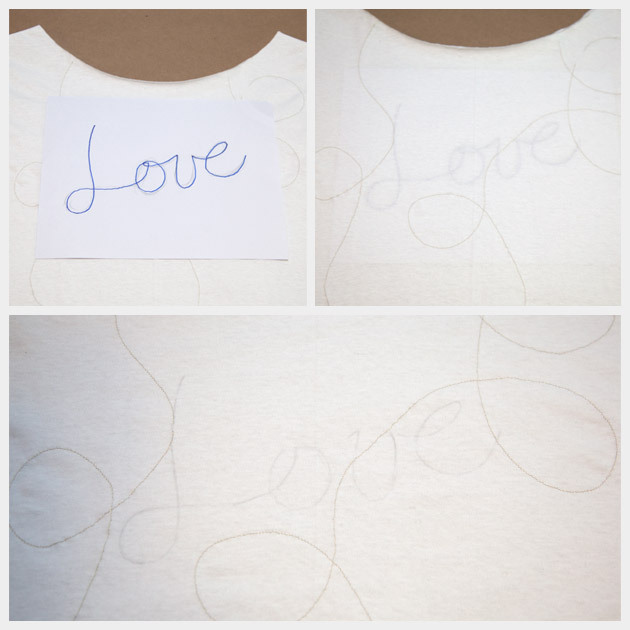 Using your sewing machine, carefully sew some swirls and curves onto your t-shirt. 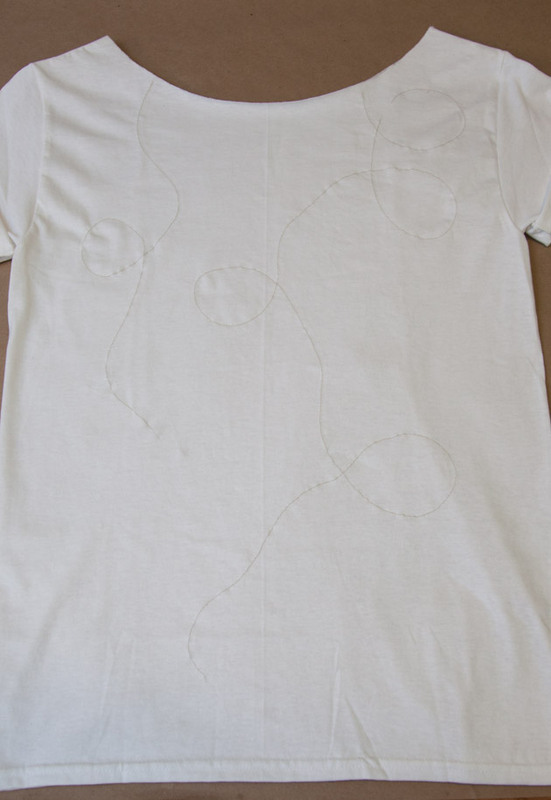 You can do this freehand or lightly draw the shapes you want onto your t-shirt and follow those lines when sewing. 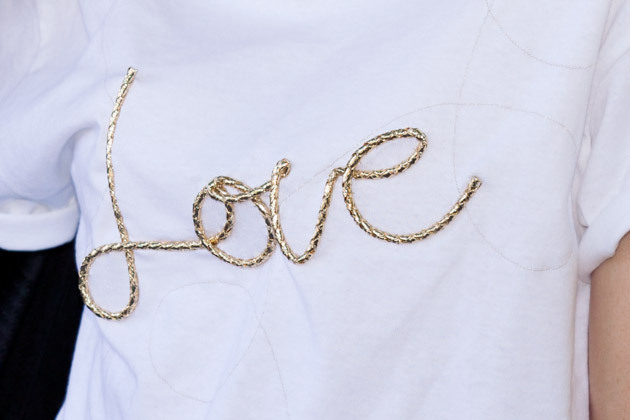 I drew the word love out on a piece of paper and then placed the piece of paper inside the t-shirt and traced it onto the shirt. 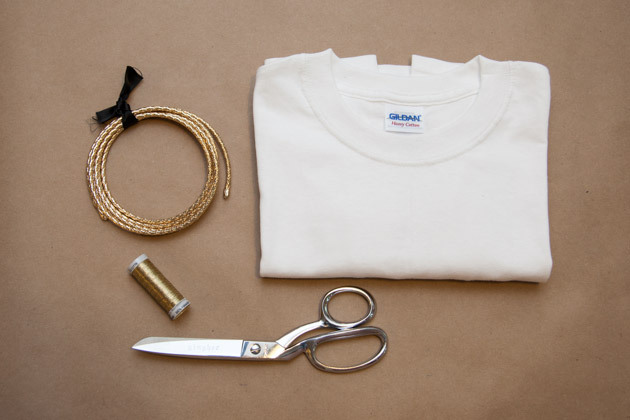 Use your sewing needle and your gold metallic thread to carefully and securely sew your gold cord onto your t-shirt, following your design. 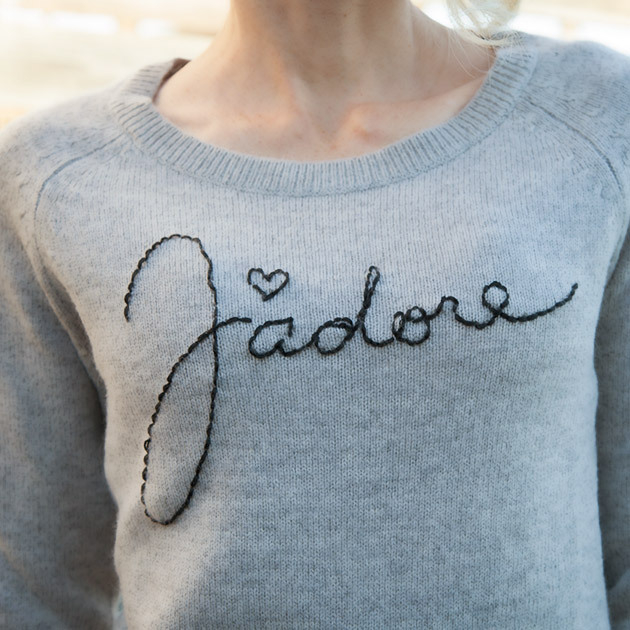 The cord is a little stiff, so it is important to make sure you sew it on securely and firmly. 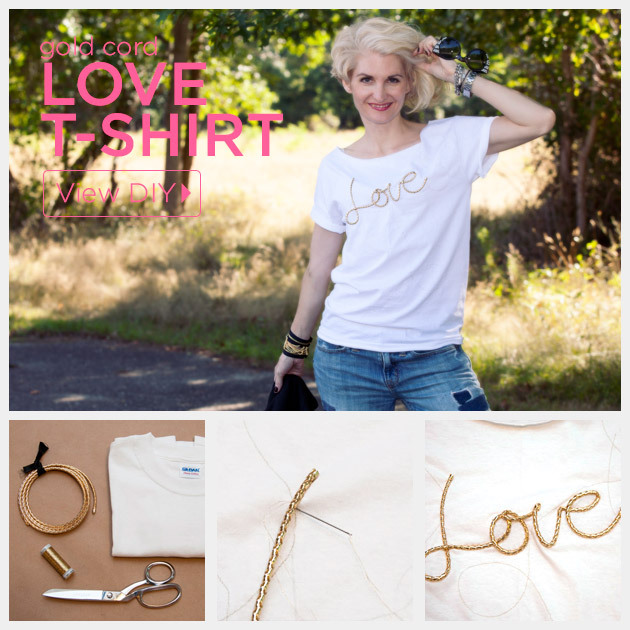 Continue sewing your gold cord onto your t-shirt until you have completed your word. This is a project I made a few months ago for M & J Trimming’s Blogger Challenge, but I think it’s perfect and completely relevant right now with Valentine’s Day right around the coner. 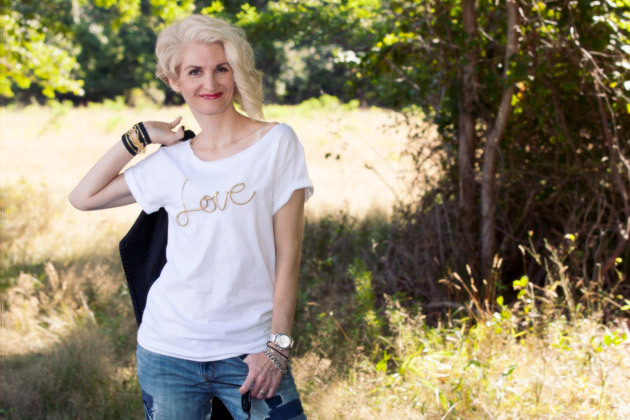 Be sure to share the love, not just on Valentine’s Day but everyday!